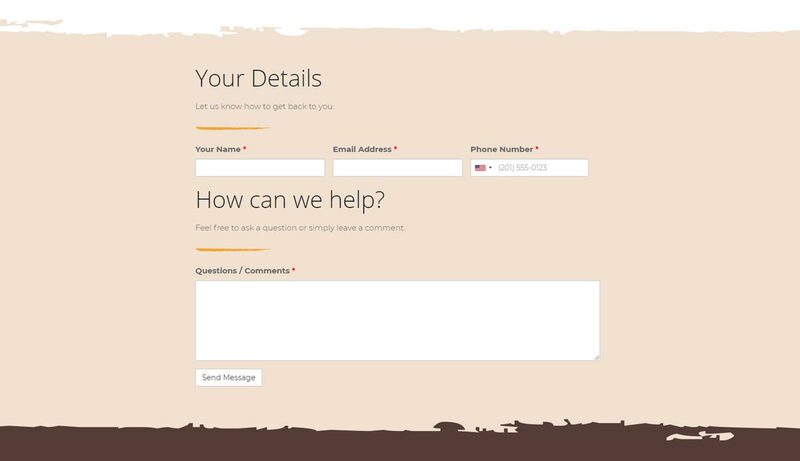 TaskWeb Development, Search Engine Optimization, and Website Hosting. 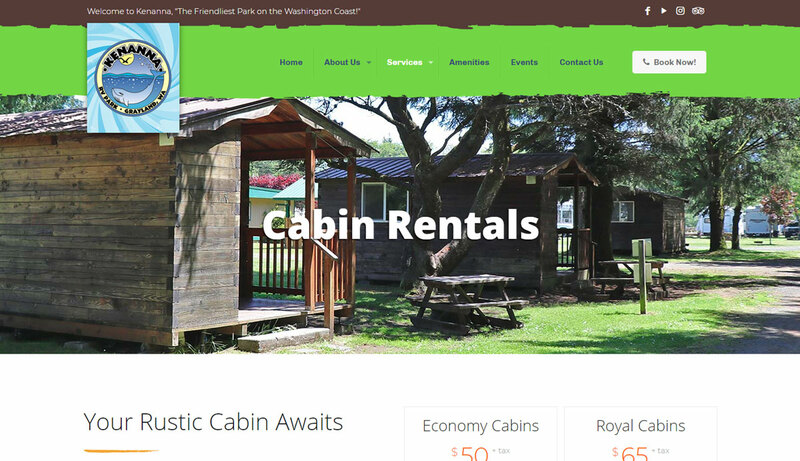 Replace the client's existing website with a fresh and modern website design that showcases the beauty of the park, their services and amenities, and the joy of recreational camping. As an outdoor enthusiast, I love getting to work on projects that are close to my heart! 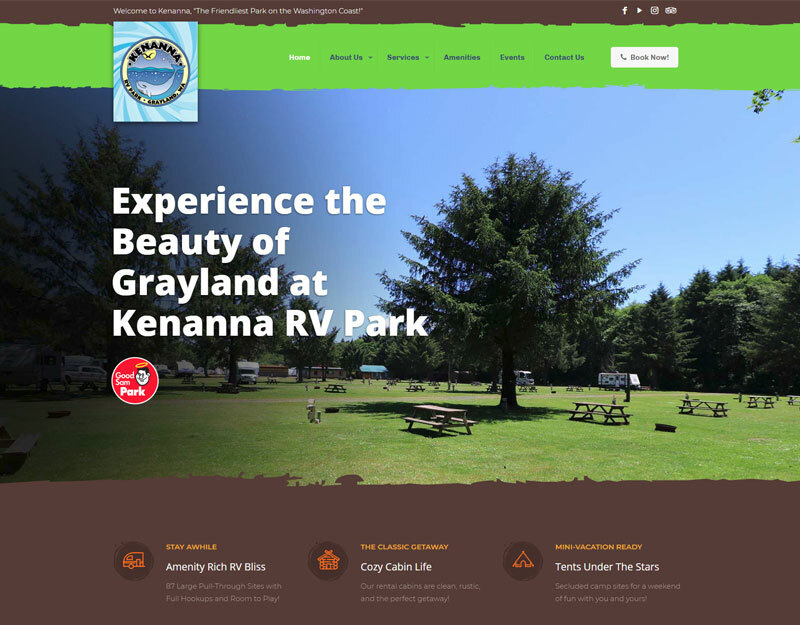 Kenanna RV Park, located in Grayland Washington, was a fun project that challenged me to step outside of a few personal preferences (comfort zones, if you will) to build Jacci and her team a website that captures their vision and heart. One area of challenge for me on this website project was the need for vibrant colors. 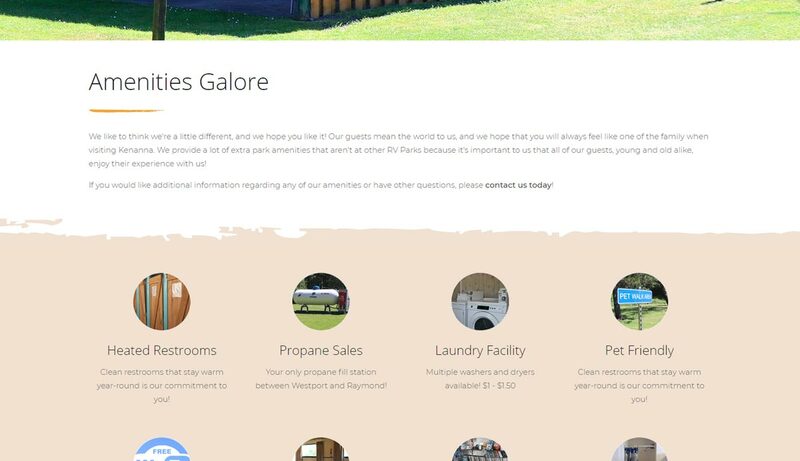 Personally, I tend to lean more towards conservative colors in both my web projects and apparel choices, but Kenanna is an RV park loaded with fun activities and amenities. The park is absolutely beautiful and using vibrant colors on this website was a must to help convey that fun and excitement. We decided to pair the vibrant greens of the park grass with a florescent shade of green for the menu, and used a bright blue to represent the water of the nearby beach. We also decided to use earth tones like dark brown and tan to convey dirt and sand. 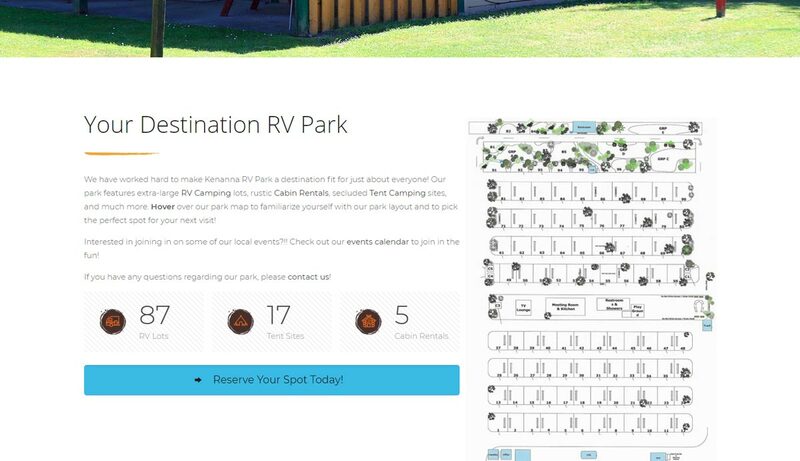 Kenanna RV is by far the most vibrant website I have built, and I love it. Most importantly, however, is that Jacci and her team do too! 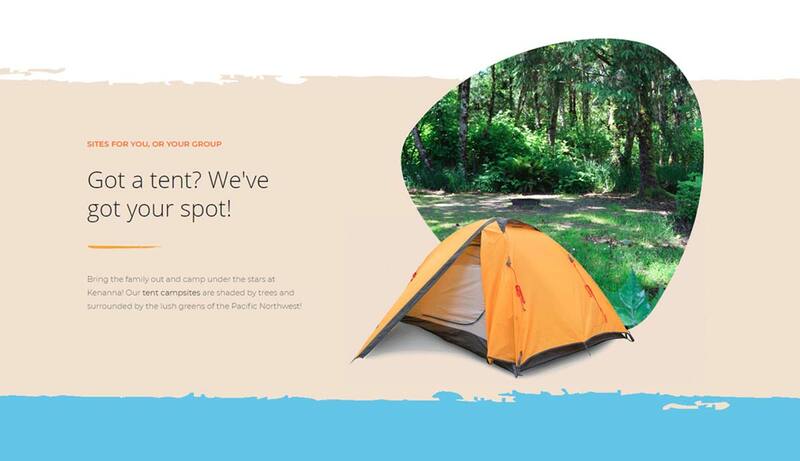 Another area of challenge on this website design project was the need to create a modern website while still capturing the essence of the outdoors, which breaks from modern clean lines to following it's own set of rules. I accomplished this by using jagged edges above and or below content sections to create the feel of uneven ground. It's amazing how a few jagged edges can break the stiffness of a modern website design. This project was a joy to work on and Jacci was easy to work with, even patient and understanding while I got married! 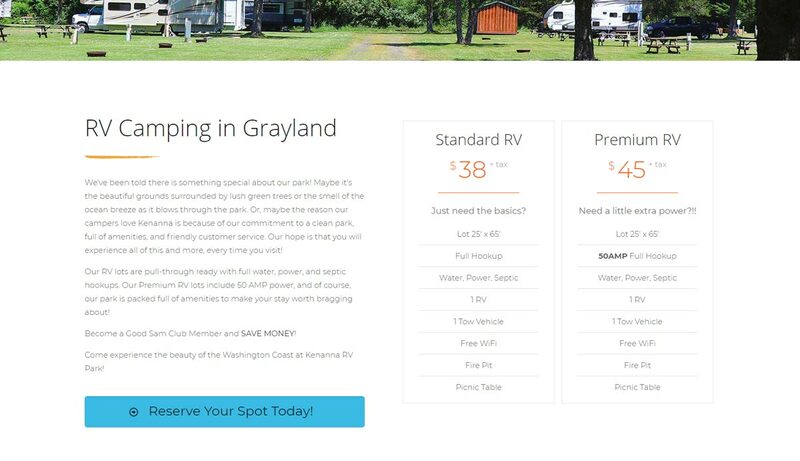 If you love RV Camping, Tent Camping, or Rustic Cabins, go visit Kenanna in Grayland, Washington. 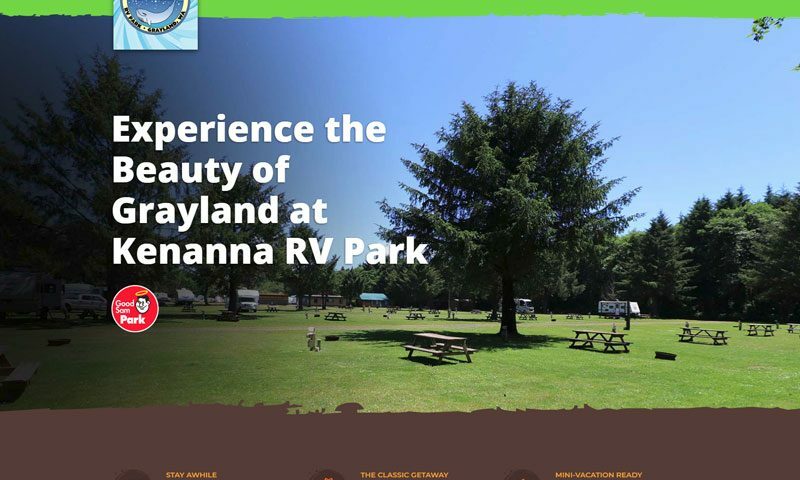 RV Sites are a dime a dozen, which made for a challenge to get Kenanna RV to rank high on Google and Bing. Rather than focus on what Kenanna has in common with these other entities, I focused and highlighted on what sets them apart. 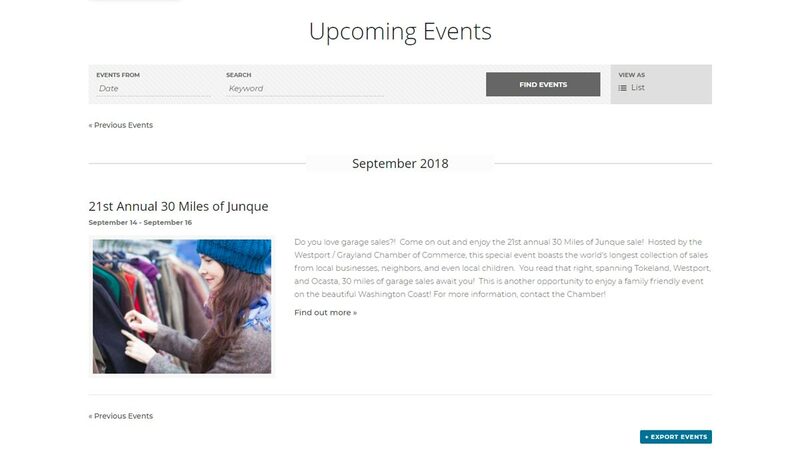 Every relevant page on the new website was optimized for search engines by using proper page structure, keywords, ensuring readability, and using a link strategy. There's actually much more that goes into my SEO process for every page that I build for my clients, but I'll spare the details! We look forward to continuing to help Kenanna expand their reach and improving their search presence, going forward! Let's Talk About Your Vision! We're here to help. You talk. We listen. Great things can happen! Call us today!